Talking with teachers has taught me some sobering lessons about today’s young people. 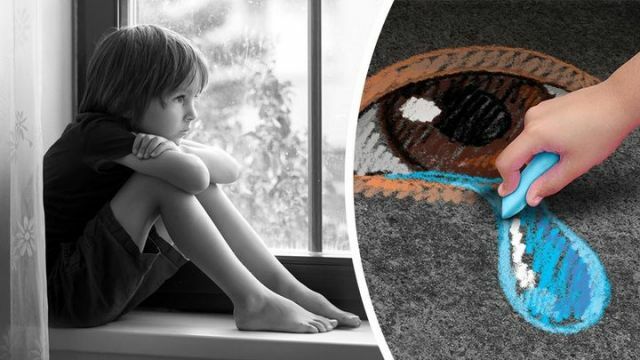 An increasing number of school-age children are suffering from severe anxiety, depression and other mental health issues. Hardly a week goes by, one educator told me, that a classroom isn’t disrupted by a student having a panic attack. They also added that a record number of kids are on powerful psychotropic medications to help stabilize their mood. What is behind this epidemic of psychological distress? Certainly, a number of factors seem to stand out. Parents and children appear to be more harried and burdened with demands than ever before. The constant emphasis on testing has created an ultra-competitive atmosphere and kids are under perpetual pressure to perform. Families and social bonds have been fraying for decades. Kids have little time to be kids because there is no time for unstructured activities. Add bullying, peer pressure and hormonal changes that normally attend puberty into the mix and it’s no surprise that so many young people appear to be buckling under the stresses that surround them. But it’s not just teens and elementary school children that are being diagnosed with mental health disorders. Psychiatric professionals are identifying toddlers with depression and other personality disorders too. According to the CDC, 20 percent of kids ages 3 to 17 suffer from a diagnosable mental, emotional or behavioral disorder. The suicide rate among girls reached a 40-year high in 2015. Psychological disorders are the most common form of illness in young people today. The statistics say that more kids than ever are struggling with mental health issues. But what factors are contributing to their problems? Pediatrician Stuart Slavin believes that academic pressure is helping to drive an epidemic of anxiety in today’s students. In his view, educational and professional expectations have spiraled out of control. To paraphrase his perspective, eight hours in the classroom, hours of homework at night, and hours of extracurricular activity every day are supposed to prepare young people for a professional career, but the incessant demands to outshine the competition are making young people both physically and mentally sick. To address this problem, Dr. Slavin tried an experiment with his students in medical school. He eliminated grades and instituted a pass/fail system. He also implemented small study groups to encourage cooperation and connections between students. He tried this approach for six years. During that time, self-reported rates of anxiety and depression among Dr. Slavin’s students declined significantly. Nevertheless, his students did just as well in terms of career placement. Diet is another factor impacting the mental health of children. To be sure, young people don’t want to be told to avoid “Happy Meals,” sugar-laden beverages and processed foods. However, there’s an abundance of evidence suggesting a link between the consumption of high-fructose diets and the worsening of anxiety and depression symptoms. Many naturopathic physicians and nutritionists believe that highly processed foods (the calorie dense but nutritionally deprived variety that teens crave) can trigger cycles of addictive-type dependency. For instance, the high glycemic load of a burger and fries can cause blood glucose levels to rise dramatically (a sugar high) but then plummet. Dr. Harrell’s work suggests that more fruits, vegetables and whole grains can help break the “cycle of stress” that many heavily processed comfort foods trigger. Emphasize and encourage effort rather than outcomes. Rewarding someone for trying hard every time will help build self-esteem. Encourage technology breaks. It can be hard to get kids away from their smartphones and TV screens. But there is a strong correlation between too much screen time and depression. On the other hand, studies show that people who incorporate outdoor activities, exercise and nature into their daily lives are happier than those that don’t. Make sure your child gets a balanced diet and adequate rest. Foods with neuroprotective properties (such as fish, nuts, leafy green veggies and berries) can promote healthy brain functioning. Bolster your child’s identity. A young person should never have to feel the need to be perfect to deserve your praise and affection. Instead, help them find things that they enjoy, take the time to do fun things together, and find ways to express your love every day. Raising a kid with self-worth is the most priceless gift any parent can give. Hey Buddy!, I found this information for you: "If Your Kid Is Depressed Or Anxious, This Could Be Why". Here is the website link: https://www.thealternativedaily.com/what-is-driving-the-epidemic-of-anxiety-and-depression-in-school-age-kids/. Thank you.